Shirataki noodles are quickly becoming the not-so-secret weight loss superfood. With zero calories and zero net carbs, these fiber-rich, gluten-free noodles are the perfect substitute for pasta, white rice and other starchy foods. 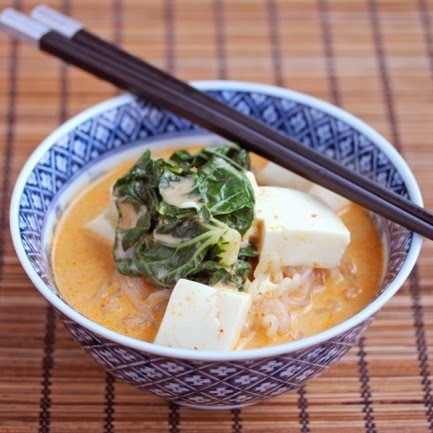 If you’re looking for some healthy meal ideas, the following six shirataki noodle recipes are easy to make, good for you and absolutely delicious! 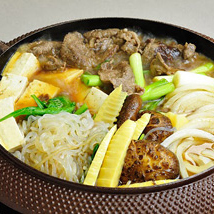 “Sukiyaki” is a traditional Japanese one-pot dish. Even though sukiyaki is typically a winter dish, the shirataki noodles, tofu and vegetables make this a light and healthful meal that can be enjoyed year-round. Don’t feel confined to the vegetables listed in this recipe as you can use any kind of vegetables you want or have on hand. Click here for the full recipe. Red curry coconut noodle soup is a delicious vegetarian meal that is easy to make and ready to eat in just ten minutes. The star flavors of this dish are red curry, coconut, ginger and lemongrass – good tasting and good-for-you ingredients! Check out the full recipe here. Now, this technically isn’t a noodle recipe per se, but this skinny fried rice is just too tasty for us to leave off the list! 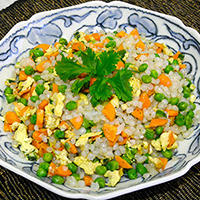 Shirataki “rice” is essentially the same as shirataki noodles, it’s just cut into a rice shape. Using just six simple ingredients, this meal contains 4g of fiber and 5g of protein for only 131 calories per serving! Get the recipe here. 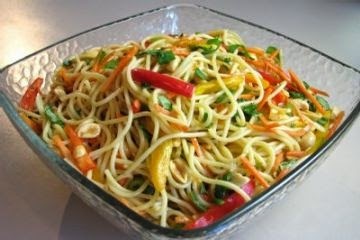 This dish has the perfect combination of sweet and sour. Incredibly easy to make and ready in less than 20 minutes, it combines bell peppers, green onion, carrots and pineapple into one flavor-packed meal! If you’re a vegetarian, you can easily substitute tofu for chicken. Click here for the full recipe. 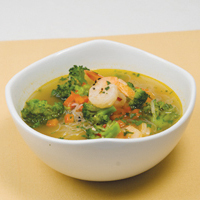 This recipe has it all – guilt-free shirataki noodles, vitamin-packed vegetables and healthy seafood. A warm, satisfying dish that’s great for dinner or colder days, it only has 190 calories per serving but packs 13g of protein and 12g of fiber! Get the full recipe here. A smoothie may not be the first meal idea that pops into your mind when you think of shirataki noodles but they are an excellent addition to any smoothie with a healthy dose of fiber and no additional calories. 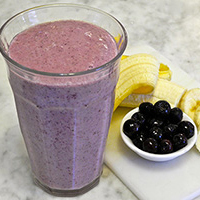 It’s easy to make and is a satisfying breakfast or afternoon snack idea. Check out the full recipe here. Visit www.getskinnynoodles.com for more information about shirataki noodles, their healthy benefits, recipes and a variety of shirataki noodle products!